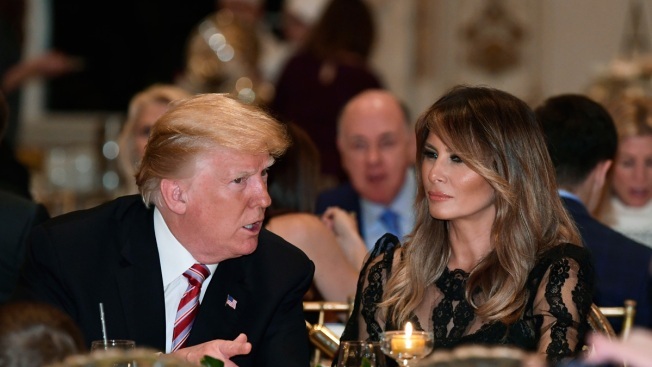 President Donald Trump and first lady Melania Trump talk while having Thanksgiving Day dinner at their Mar-a-Lago estate in Palm Beach, Florida, Thursday, Nov. 22, 2018. The White House confirmed Thursday that the menu at President Donald Trump's Thanksgiving dinner at his Mar-a-Lago estate in Palm Beach, Florida, did not include romaine lettuce. The menu included Caesar salad — a tidbit that raised eyebrows just two days after the Centers for Disease Control and Prevention warned against eating any romaine from any source because of a new outbreak of E.coli contamination. Romaine lettuce is the traditional base for Caesar salads, but when queried about the menu, the White House told NBC News on Thursday night that no romaine was used. 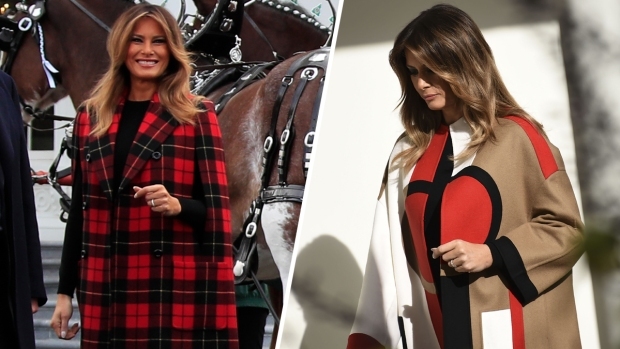 According to the White House, the lengthy menu includes a carving station with turkey and all the trimmings, Caesar, wedge, tomato/mozzarella and Greek salads, deviled eggs and duck prosciutto & melon.